Your Ask Me Anything Questions Answered! It is finally time to answer all of the Ask Me Anything questions you all asked about living with chronic illness! Wow, you guys did not take it easy on me at all! These were some good ones! How can others support you as you begin considering a ministry to others with chronic illness? What resources could we help provide? How specifically can we pray for you with this? Thank you so much for your support as I pray about this endeavor! I definitely want to put a lot of prayer and preparation into building this ministry as I do not consider it something to be taken lightly. I ask for prayer for not only myself but for the community as God would go before even the first meeting and prepare the hearts of those who will take part. Lisa Copen’s book How to Start A Chronic Illness Small Group Ministry has provided a wonderful foundation and I plan to follow the HopeKeepers model that is a part of Rest Ministries. My goal is to start the local ministry this fall! Also, any advice for someone, like me, who wants to blog more but struggles to find prompts, time, etc. This is a struggle for me too! 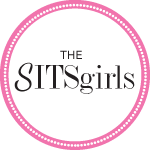 I think being a part of a blogging community, like SITS, is a great way to find blogging support. I know that they are a big part of why I continue to blog! If you check out my blogging resources page, I have listed my favorite sites and ebooks that I have found helpful over the years. I have also found Pinterest to be a HUGE resource in finding ways to organize my blogging and better manage my time as well as find endless prompts and writing tips. I have a list of my blogging pin boards on my resource page as well! I am working with another blogger to start a Bloggers Book Club (where we will work through various blogging books as a group) so keep an eye out for more information as it comes! Maybe this is too big of a question, but how do you hold on to your faith through the pain? This is definitely a big one but it is a big part of my journey and a big part of why I blog. I grew up in a church where you didn’t ask questions (especially not God) so when I started struggling with chronic illness, I had a hard time trying to figure out how to balance my faith and my illness. I had to figure out how suffering and pain fit in with my understanding of who God is. Was my illness part of God’s will? More importantly, did He cause me to be sick? I wrestled with this question for some time. Thankfully I had professors and a peer group that helped me work through it (I was working a chaplain intern at a hospital when everything hit the fan so to speak). In my journey, I came to the place where I accepted that I would not always have the answers and that was ok. Instead I could trust in the character of God and His promises. I don’t believe that He willed me to be sick but I do think He gives me the choice of how to respond to my sickness. I can either allow it to make me bitter and shut down or I can choose to find a way to honor Him through it. Being conscious of that choice helps me hold onto my faith even through the darkest times. It doesn’t mean that I don’t struggle or get angry because I totally do. Its during those times that I cling to His promises even tighter. That is such a tough question! One of my biggest dreams came to life when I became a mom. During our infertility struggles, I was not sure it was ever gong to happen so when they placed Abby in my arms, my greatest dream became a reality. Outside of that, I think my biggest dream is to grow A New Kind of Normal into a full-scale chronic illness ministry! I know you were blessed with a daughter through adoption (I actually have 2 adopted siblings, so I understand the gift of adoption) but is it hard to not be able to be pregnant and carry a child inside of you for 9 months? How do you deal with it? I am incredibly blessed to be a mom through adoption. I could not love Abby any more if she had come from my body. But I would be lying if I said that I did not still grieve the loss of my fertility and the inability to carry a child. It still hurts very much. My family seems to be very fertile (I’m the only one in my generation that I know of that has struggled to get pregnant) so I feel like an outsider at times. I think my hysterectomy was much harder on me mentally and emotionally than it was physically. My scar is a permanent reminder of what will never be. Everyone jokes about how you always get pregnant after you adopt and knowing that even the greatest amount of medical intervention would allow me to experience pregnancy hurts. The way I deal with it is that I recognize my loss and give myself permission to grieve when necessary. Grieving my loss of fertility does not mean that I love Abby any less or that I am not thankful for her. It took me awhile to accept that. The sting has gotten less and the moments of grief occur less often as time goes by but I don’t think it will ever go away completely. It is now a part of my story and hopefully being able to help others who are traveling a similar journey will help give my pain purpose. How are you telling people about the leave decision and filing for disability? I find it hard and feel like I get this “slacker” look from folks when I say the pain leaves me in bed much of the time and all I can mangage is a small bit of writing….probably b/c so many people abuse the system which makes it harder for those who truly need the help. I completely understand what you mean. I have been more vocal about my decision to pursue disability online than I have in person. I did have some “but you don’t look sick” comments from individuals at work when they heard about my medical leave but those close to me knew the truth. I think my surgical history (and my recurrent hospitalizations last summer) maybe made it a little easier for some to understand. I do think the abuse of the system makes it harder on those who really need it to not only get the help they need but receive the validation about the reality of their illness. I am not hiding my decision to file for disability but I’m not sharing many of the details. At this point in my journey, I need support not criticism and judgement. Thank you to everyone who left questions! I really enjoyed it! As always, if you have other questions or want to chat, please feel free to email me or contact me via Twitter or Facebook! Previous postGuest Health Activist: Meet Bola! I enjoyed reading your answers to these questions. Just a quick FYI for those who haven’t gone through the disability route before: It is NOT easy to be granted Federal Disability (SSDI). You must have sufficient medical records and fill out massive amounts of paperwork, notes from your doctors, people who know how the disability affects your daily life, etc… I was automatically denied at first like most people are who are my age and applying (I was 21 or 22 when I was denied), but had to go through a lawyer and then was approved right away. I didn’t make much before I went on disability because I only worked part time, so I barely get anything now, but I am grateful for any amount that I can get since I cannot work at all because of my many chronic illnesses. I hope all of this works out smoothly for you! Thank you for that information! I am fully aware that I will be denied initially and will likely have to get a lawyer but it helps to be prepared with that knowledge going into it! Thankfully I own a short-term and long-term disability process that will help during the fighting process. Buying those policies was one of the best decisions I ever made! Guest Health Activist: Meet Bola!